Note: We also have resources for other types of “Buffy” costumes and clothing like Halloween outfits, hoodies, and sweatshirts. 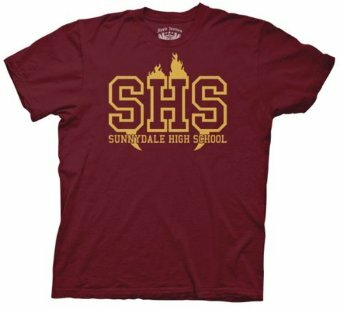 Want to show off your “Buffy the Vampire Slayer” pride? There’s no other way than to get a few “Buffy” T-shirts — especially one of the many “Buffy Slays Edward” ones that shows that our favorite show, to put it politely, is far better than the new “Twilight” phenomenon. And then, from Buffy’s daily outfits to her gorgeous prom-dress, viewers (well, mainly female ones, of course) always looked to see what she would wear (and what hairstyle she would sport). 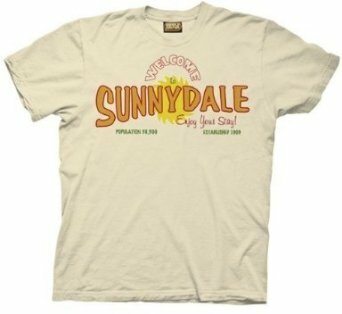 Although the main characters’ actual clothes were (reportedly) specially-made by designers and the sold at auction after the show ended, we can still buy “Buffy” T-shirts to remember the show’s spirit (and identify other fans when the given catchphrase on a shirt is not generally known). Below, we have listed many of the T-shirts that we could find, but there are hundreds and hundreds available. 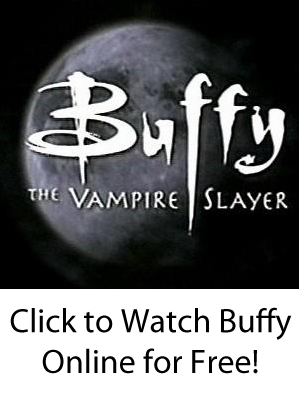 Still, we at BTVS Online aim to be the Internet’s top resource for anything relating to “Buffy the Vampire Slayer.” So, in that spirit, we invite people to contact us if there is anything that we should list that is not currently here. Happy slaying! 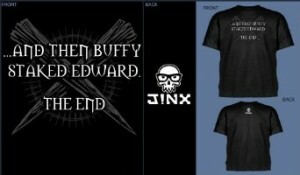 Which “Buffy” T-Shirt Do You Want? Click for more colors and designs!